Q COSTA RICA (Nacion.com) It’s 11am, Thursday, December 15. 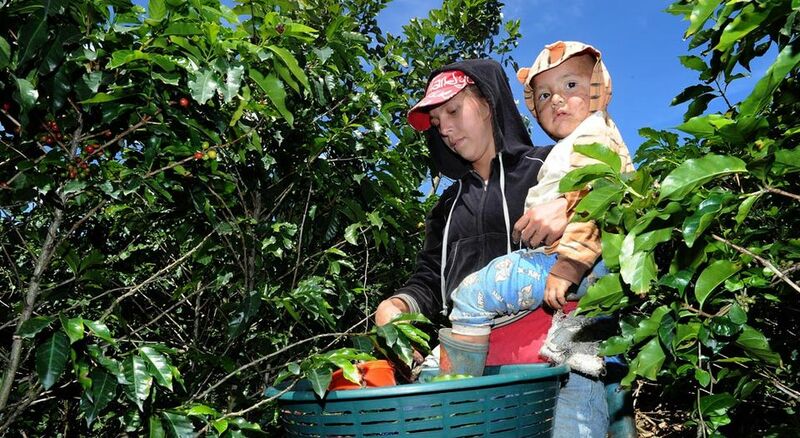 Veronica Quiros’ one-year-old baby is crying of hunger in the middle of a sunny coffee plantation in San Pedro de Barva, Heredia. 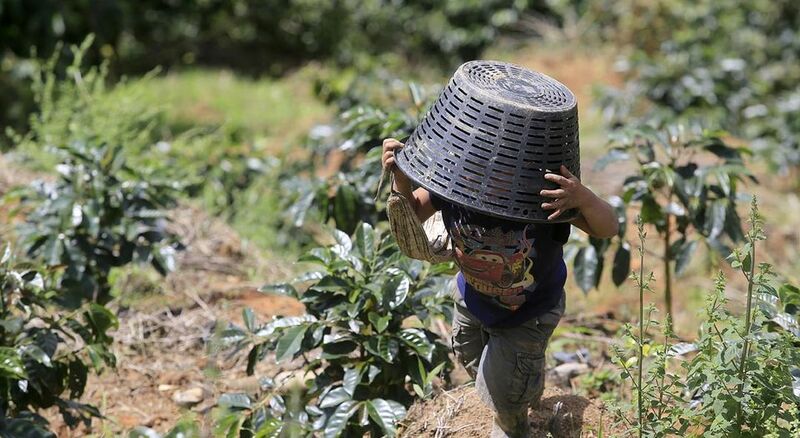 Her 10 year-old daughter reaches out for the infant lying in a basket full off fresh picked coffee beans, to give to her mother to breast feed, at the same time continuing picking coffee. 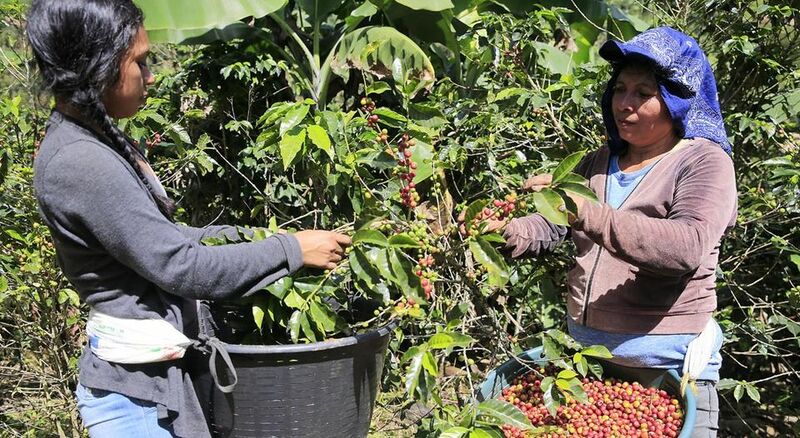 This is the only work this 38 year-old Nicaraguan woman has, with the help of her family who accompany her from their native Nicaragua, during Costa Rica’s coffee harvest season. 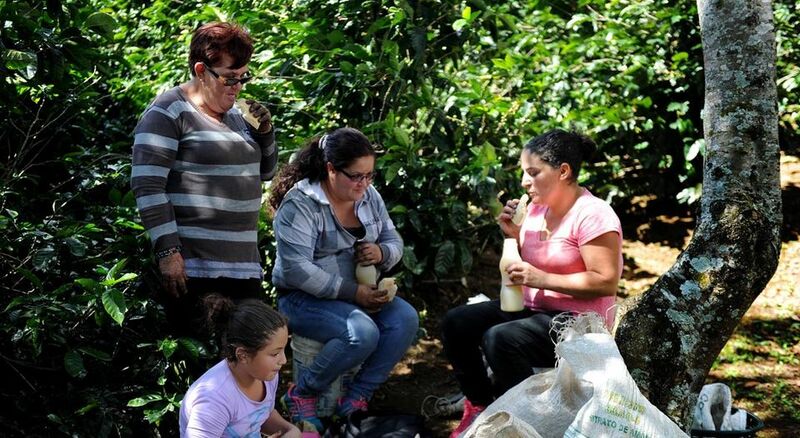 The Quirós family has been coming to Costa Rica to earn a living off coffee picking for the last 12 years. “I come with my four children (22, 14, 10 and 1 year-old) because the more hands to help, the more we earn In the picking season, we eaen like US$500. We take that money to Nicaragua and we use it to pay for food, to fix the house and to buy school supplies,” said the woman. 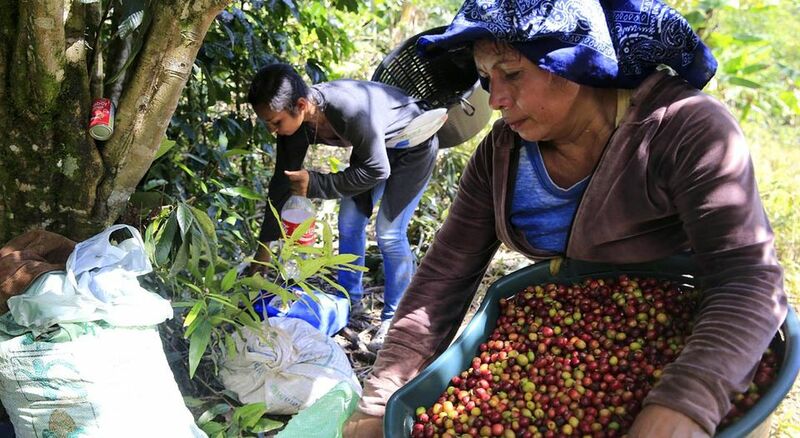 This is the one of the several stories in the report by La Nacion of the some 30,000 families, not all Costa Rica, who live off coffee picking. The coffee harvest season in Costa Rica begins in September and runs to March, December and January being the biggest production months. 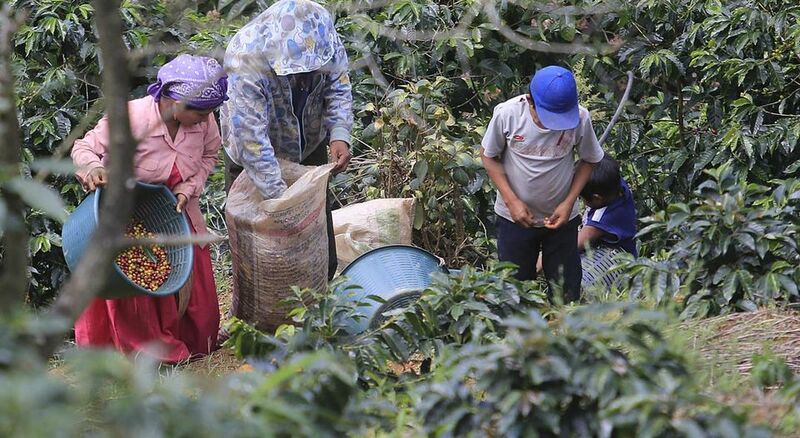 However, the future for these families is in jeopardy given that Costa Rica’s coffee production is on the decline, with a per hectare fall in production of 30% in the last 15 years. 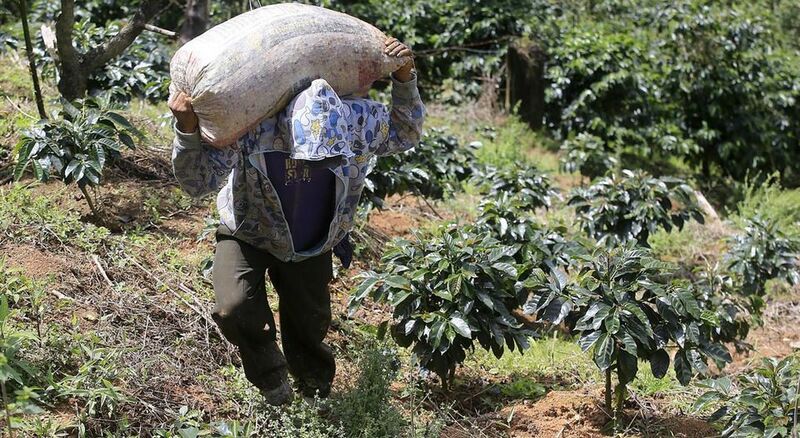 The main cause is the oldness of the country’s coffee plantations. More than 36,000 hectares (40% of the 92,000 coffee plantations) are more than 30 years old. The ideal production life of a coffee plant is 20 years. This is compounded by urbanization, the impact of “roya” (the rust coffee plant virus) and climatic changes, contributing to a fall in production. 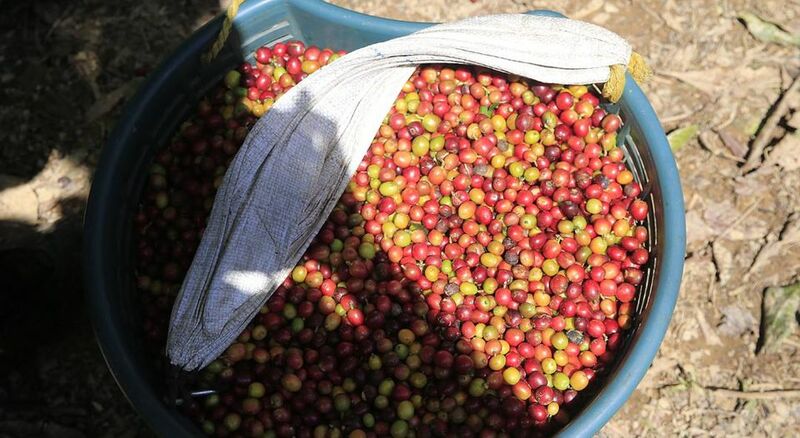 According to the Instituto del Café (Icafé) – Costa Rican Coffee Institute, some 76,000 pairs of hands are needed to collect the national production, which reaches some 2 million bushels (fanegas in Spanish). Each bushel is 20 baskets (cajuelas). 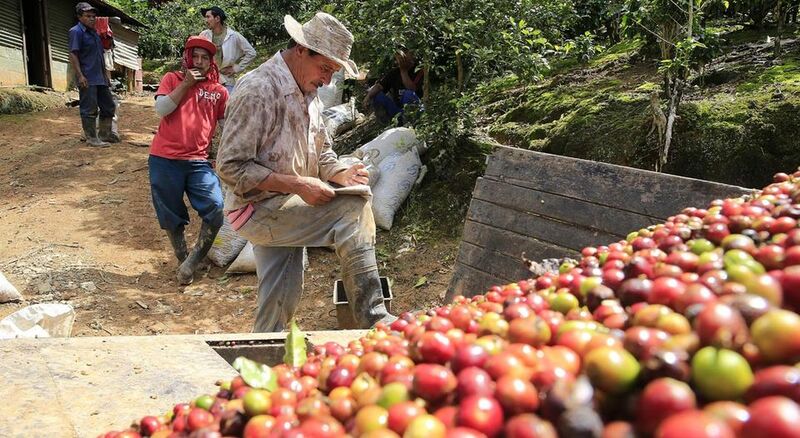 The fanegas and cajuelas in coffee picking are industry standard. The Icafé says that coffee farmers pay ¢1,070 colones (US$1.95) per each cajuela, which can take an hour or more to fill. Throughout the harvest season, picking coffee represents an income of ¢44 million colones (US$80,000 dollars) for the coffee pickers. “In Costa Rica we do not have enough collectors; We depend on foreign collectors,” said Ronald Peters, director of Icafé. The Icafé estimates 40% of the coffee pickers in Costa Rica farms are Nicaraguans; 41%, Costa Ricans (Ticos), and 19%, Panamanians. The majority of the collectors of Panama are indigenous of the Ngöbe Buglé ethnicity; They work, mainly, in the farms of Coto Brus and of the zone of Los Santos, in the southern zone. 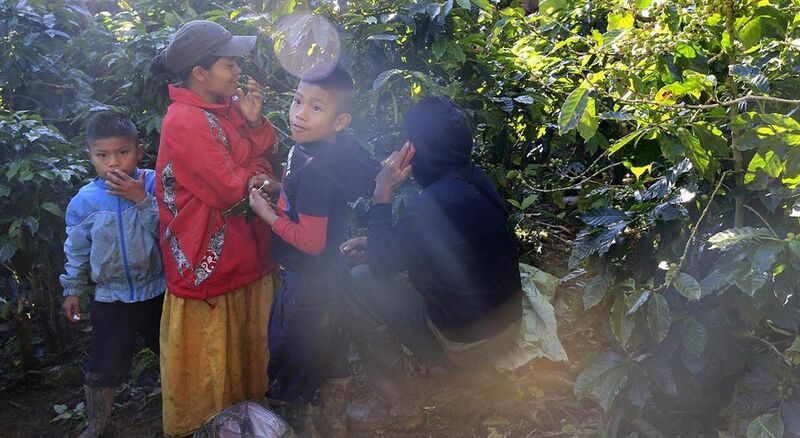 It is common to hear in the coffee plantation the laughter and tears of the small children playing, while the older children work alongside their mothers and fathers, grandparents and cousins. 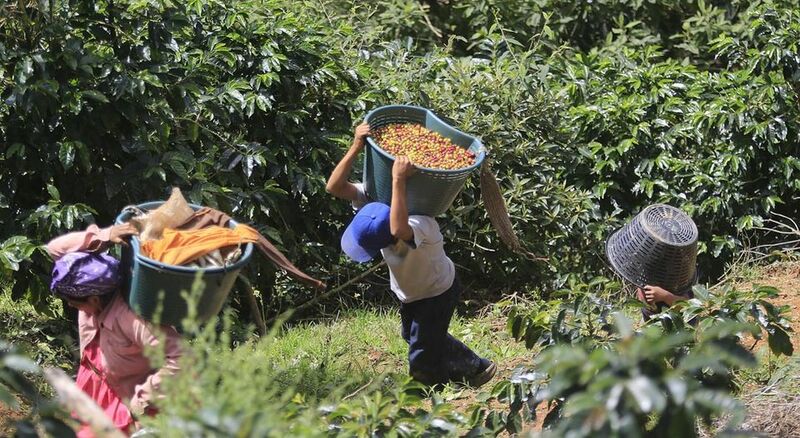 Although in Costa Rica it is illegal to put work a child under 15, in the coffee plantations children as 10 can be seen hard at work. 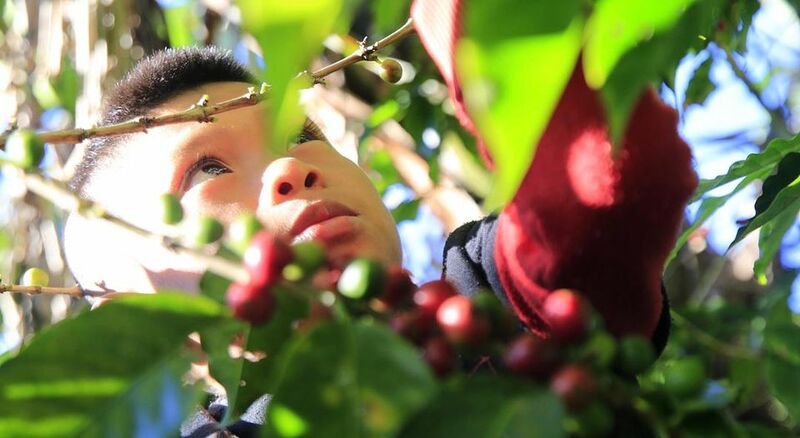 An example is the story of Darylene Hidalgo, a 10 year-old girl who begged her mother to take to the coffee plantation. 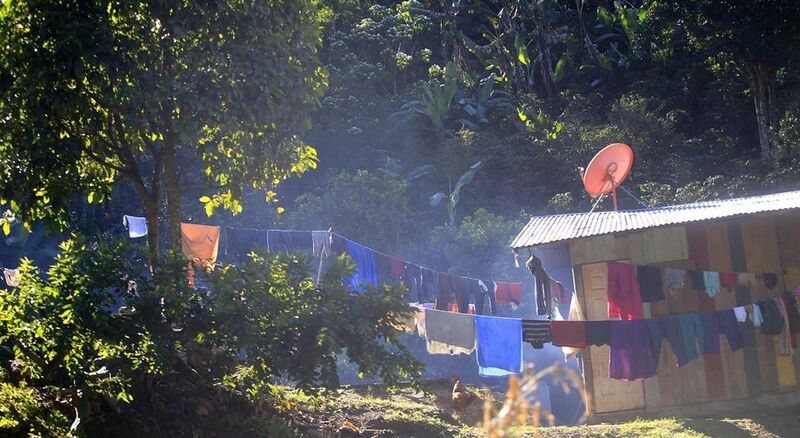 They are residents of San Pedro de Barva, an area with a large coffee production. The La Nacion report explains the schoolgirl accompanied her mother, grandmother and aunt, who collect coffee every year. The earnings are used to buy Christmas gifts, make tamales, pay for personal expenses and acquire some useful items. “It’s the first time she (Darylene) comes to work with us. She is not obliged to work. She begged and begged me to bring her. On Monday she earned ¢5,000 colones, with that money she bought candies and potato chips. It’s good to bring her, so she gets accustomed to earning some money (platica in Spanish,” said Laura Herrera, Darylene’s mother. To mitigate the problem of children working the coffee farms, the Casa de la Alegria (Home of Happiness) was created in the southern zone, a project born out of an alliance with several institutions, among them the Icafé, to provide daycare for the children of the coffee picking families, mainly from the Ngöbe buglé communities. Coffee pickers are quick to point out that the work is tiring and sometimes has to be done in the rain or under a scorching sun. “For me, to come here is a change in the routine. I was without work and the money I earn helps me with expenses. Coffee is the main source of income for my home, from which I live on,” says Laura Herrera, while devouring bread with cream cheese and coffee from a bottle. Laura is joined by her family that includes her grandfather, grandmother, five children and four grandchildren who get up at 5:00am, after breakfast heading to the coffee plantation. The daily goal of this family, led by Maximo Inser, who live in Rivas, Nicaragua (30 minutes from the Costa Rica border), and come to Costa Rica to live and work for between October and February, is to collect the largest amount of coffee they can. 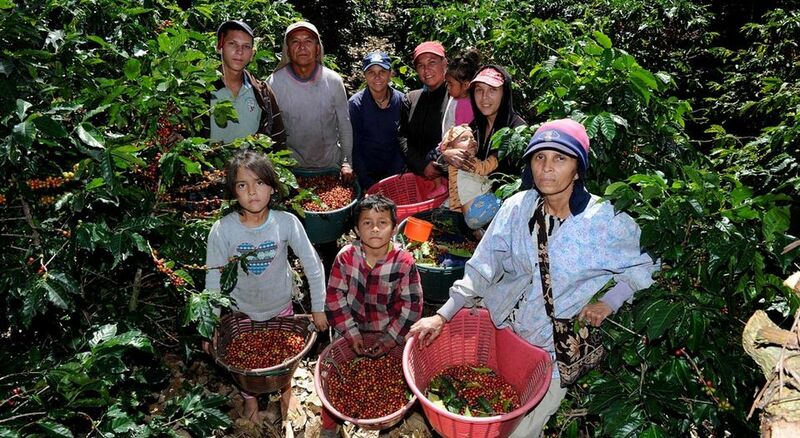 This family of 11 has been coming to the country, to work the Costa Rica coffee harvest, for the last eight years. 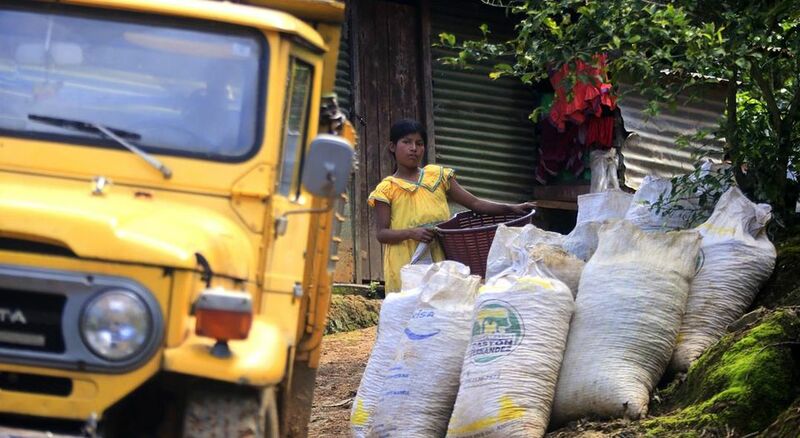 In Nicaragua, the family lives in Nicaragua off the money they earn here. 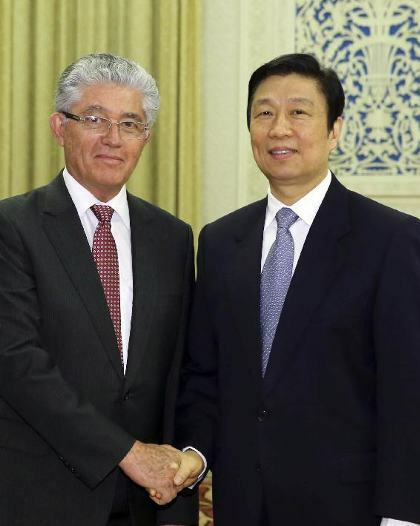 “Among us we earn about ¢120,000 colones (US$220 dollars) a week. We all fill the bushels, in the end, we divide the money into three parts. 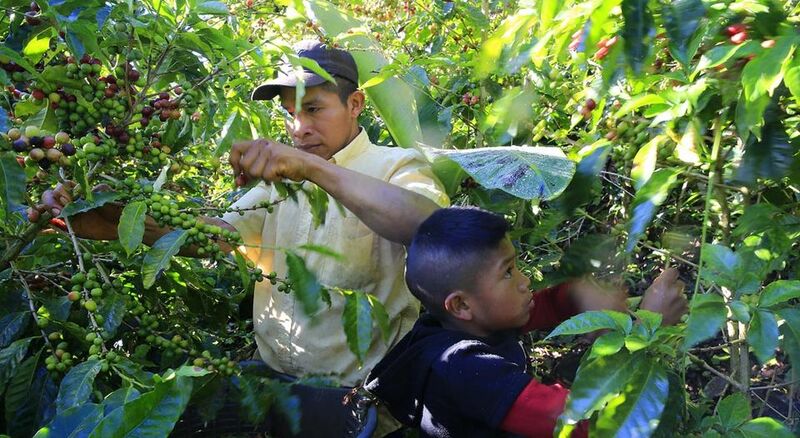 Coffee is the only source of income for our entire family,” says Maximo Inser. 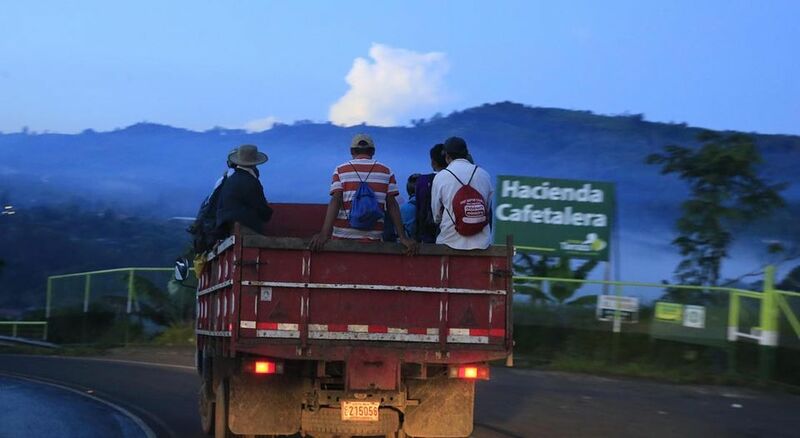 “In Nicaragua, everyone knows what they are going to use for what they earned. Generally, they spend it on paying debts and buying food. On Sundays, some take advantage to go to church or meet with friends,” says Inser, while laughing at the jokes his children make during the interview with the newspaper. 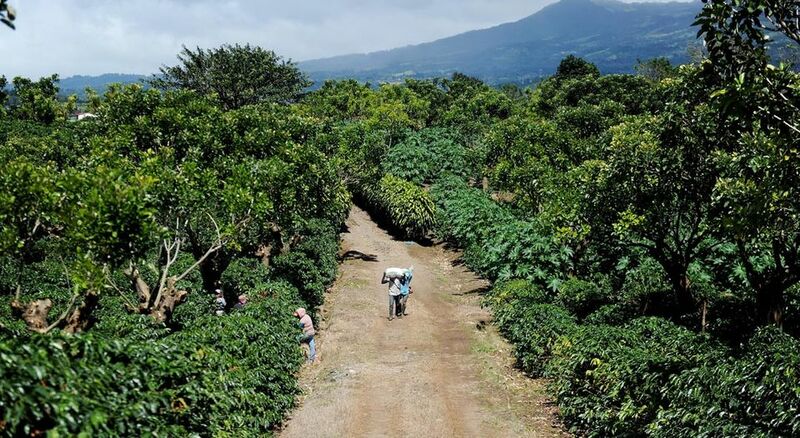 Coming to the country, picking coffee and leaving with the proceeds to invest in Nicaragua is the way of life of many of the families of that country that take part in the earnings of Costa Rica’s coffee harvest.